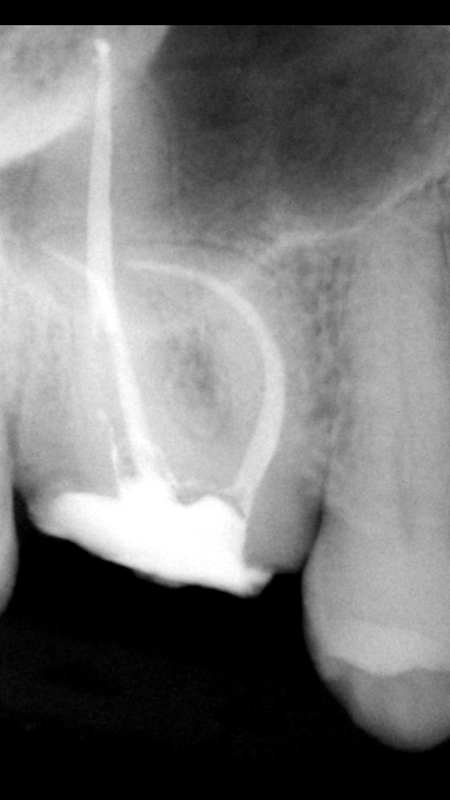 This is a right maxillary first molar (tooth #3) that required root canal therapy because decay developed under an old existing crown. 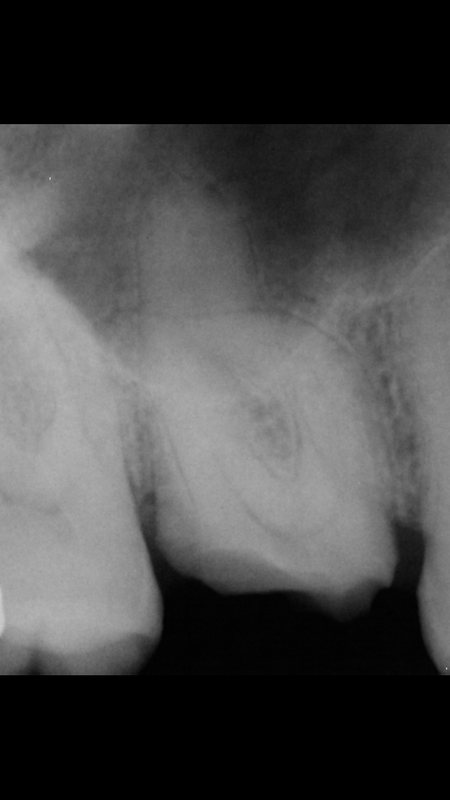 This root canal was complicated because of a severe curvature (dilaceration) in multiple canals. Extra care, time, and the use of additional instruments was required to treat this tooth adequately to avoid future symptoms and infection.